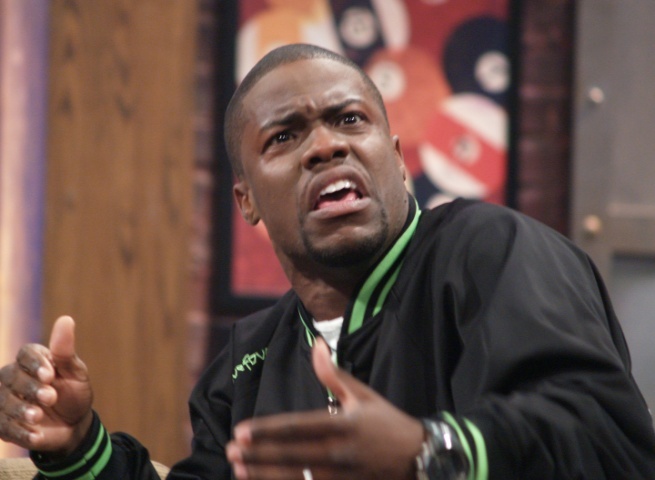 Why are Black Women upset with Kevin Hart…again? Back in 2010 Kevin Hart was on black females “Black List”(pun intended) for joking on Twitter that light skin women generally had better credit than dark skin women. Well it seem’s like Kev has pissed the sista’s off again this time over a cartoon that was posted on Kevin’s Facebook page. After the comic went viral, Kevin began issuing cease and desist letters all over the Internet demanding people stop associating him with the cartoon until finally admitting the strip did indeed come from his page. ATTENTION EVERYONE…….I have been getting google alerts all day about a cartoon that’s being credited to me that talks about black woman…I have nothing to do with this cartoon, I am not behind it or involved with it in anyway shape or form!!! 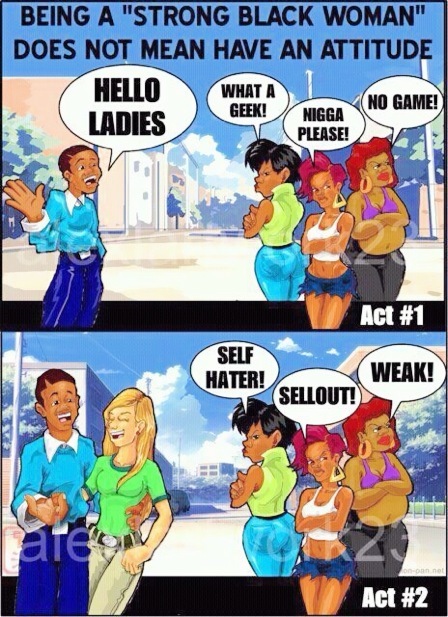 THIS CARTOON IS FRAUDULENT…With that being said if the promotion of this CARTOON is not stopped ASAP I will be taking legal actions against all parties that are involved. I was just made aware that the cartoon was posted on my page yesterday……..it was posted by someone who only had access to my page for the purpose of uploading my calendar events…..That person thought that they were doing me a favor by posting something that THEY thought was funny……..LEGAL ACTION HAS BEEN TAKEN & ONCE AGAIN I HAVE NOTHING TO DO WITH THAT CARTOON IN ANY WAY SHAPE OR FORM!!!!!! I am now done talking about this subject……LIVE LOVE & LAUGH. Hmmmmmm Kev!..This seem’s just alittle suspect to us..What do ya’ll think?? This entry was posted in Gossip and tagged Kevin Hart, laugh at my pain, Twitter. Bookmark the permalink. I hope he(Kevin) doesn’t have anything to do with this!! Its not funny just like he’s not!